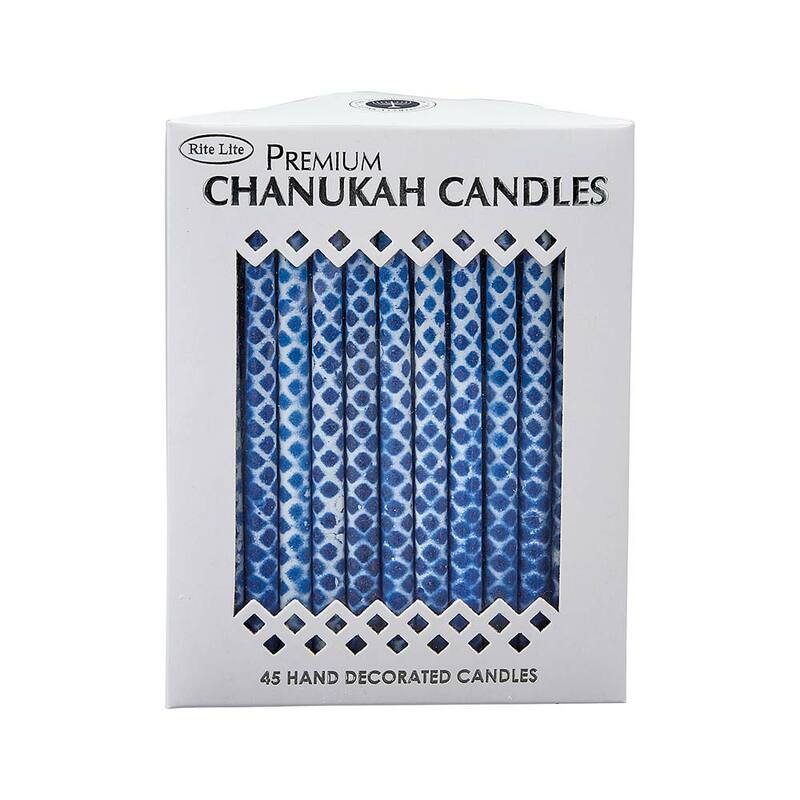 Hand-Dipped pure & natural organic vegetable Wax Hanukkah candles - Blue/White. New Eco-Friendly Candles made frow renewable resources. Box made from recycled material. 45 Candles, 5" Tall.